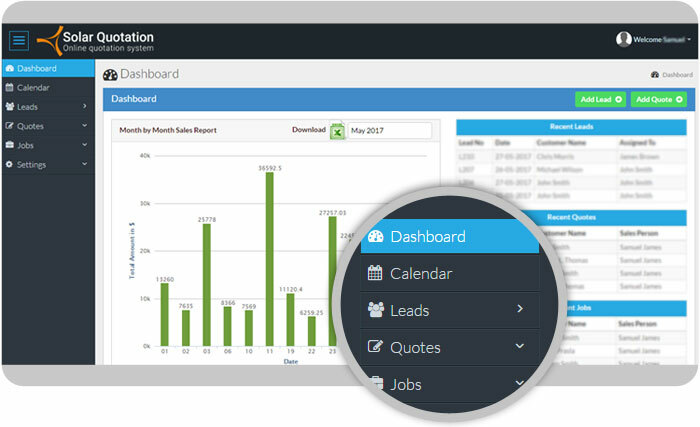 Solar Quotation System – Solar CRM is cloud based online quotation, job and customer management system (CRM) software that lets you create, send and track and manage your quotes, orders, Installation and invoices from one place. Throw away your spreadsheets and paper quotation book. 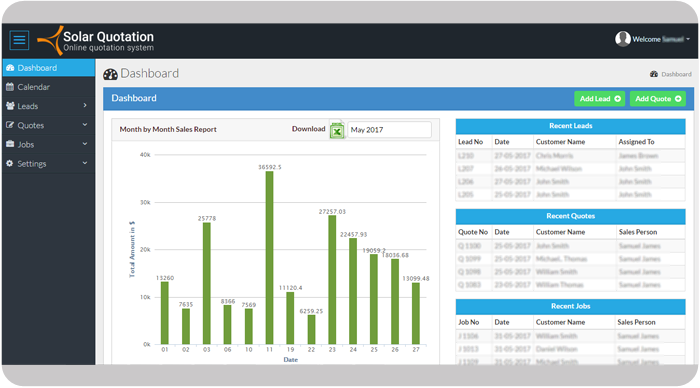 Solar Quotation System simplifies your sales quoting process by bringing all of your product and quotation information into a single place that’s easy to manage. Save time and generate more $$$. Solar Quotation System is an online quoting platform that helps sales teams streamline their sales quotes and proposals to save time, improve consistency, and win deals faster. The best part of our Quotation system is it’s mobility. 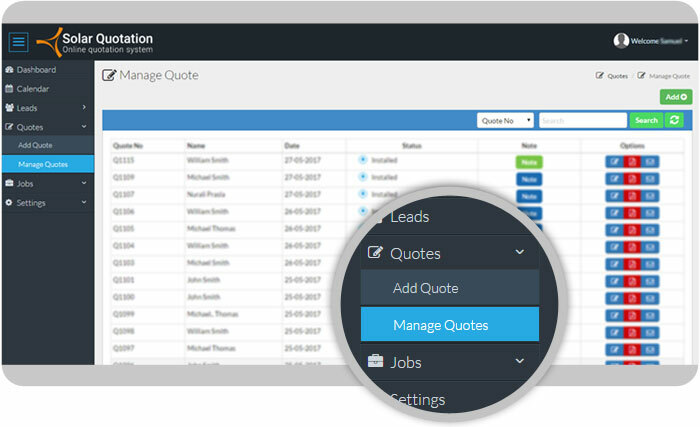 Not only can you create solar quotes from anywhere, but you can instantly send quotes to your customers. 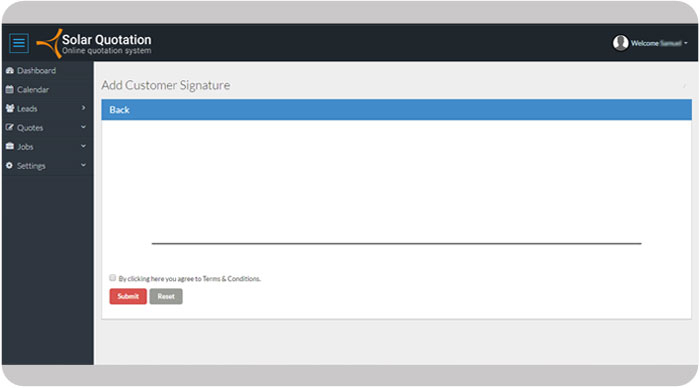 Go paperless with e-signature function. Speed up your sales process by getting agreements signed by your clients, either via email or in person. The process is very simple and quick. Automatic emailing of signed agreement to client.